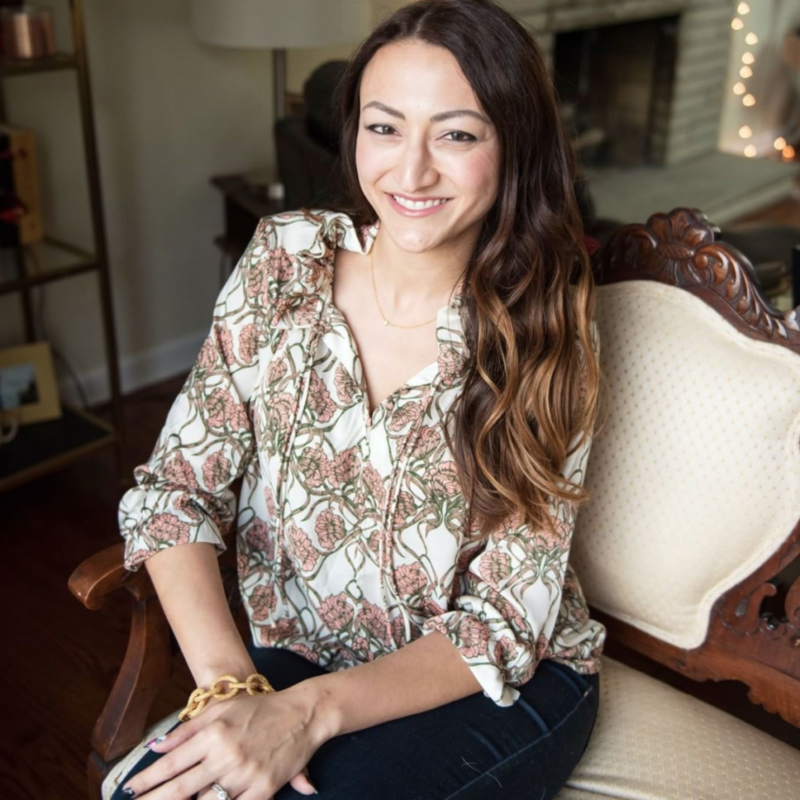 Nevica is the go-to gal on learning all about mastermind groups, how to create your own and how to make it hugely successful. After working with Nevica last year for business coaching, I’ve been loving her posts and emails on growing your business. mastermind group and that feedback is already invaluable. So, I know if I can get to the next level in a mastermind, I will see amazing results. You already know why masterminds are a great way to work with like-minded individuals to grow your business and you know how to get one started. So, I’m here to talk about something a little different – the legal protections you should know about with your mastermind. As a business owner of Jade & Oak for over 5 years and a licensed attorney for nearly 8 years, I’ve grown my business as a way to educate business owners about the legal side. As a lawyer and a business owner, I know that we always go into relationships with the best intentions and that can usually be all you need. However, there are sometimes those occasions where things go not so well. In case of these not so fun situations, having a contract in place can be helpful for everyone. Legal Disclaimer: I am an attorney, but I am not your attorney. The information in this article is for general informational purposes only and is not legal advice. This article does not create an attorney-client relationship. I am not liable for any losses or damages related to actions or failures to act related to the content in this article. If you need specific legal advice, consult with an attorney who specializes in your subject matter and jurisdiction. In a mastermind, you want to foster an environment of mutual trust, honesty and accountability. The major legal concerns in a mastermind are: (1) everyone understanding the group rules and each person’s obligations and responsibilities and (2) keeping everyone’s business ideas, brainstorming, personal info, etc. private. Having a solid mastermind non-disclosure agreement can cover both of these. This type of contract will lay it all out and make members feel legally sound and protected. First, let’s quickly go over contract basics. A contract is often described as a “meeting of the minds,” meaning that all parties need to agree in order for the contract to be valid. This means that your contracts should lay out everything that will be involved in an upcoming relationship. You should have all of the necessary details laid out so that everyone is on the same page. Your mastermind agreement should include everyone’s obligations, how disputes will be resolved and anything else you can think of that will dictate the proper actions and responsibilities in your mastermind. Your mastermind contract will be helpful for several reasons: (1) once the contract is in place, all members can stop worrying about issues, (2) everyone can be confident that everyone else knows what his or her obligations are and (3) if any issues DO come up, you all know how it will be sorted out. SO HOW DO I CREATE A MASTERMIND NON-DISCLOSURE AGREEMENT? You can always find a local attorney to write a custom agreement for you. This way, you will get exactly what you want, but of course it will come at a higher price point. You can also find a legal template that you can customize for your needs. Lastly, you can create your own agreement. A contract or agreement doesn’t need to be written using very specific or fancy legal language in order to be valid. As long as it’s a clear “meeting of the minds” where it’s evident that all members are in agreement, it should stand up legally. If you decide to create your own agreement, you just need to make sure that you include everything that could potentially arise as a question or issue. I like to say that contracts are like a crystal ball where you are looking into the future to see any potential issues that COULD arise. As I mentioned above, with a mastermind, the main issues will be about laying out everyone’s responsibilities (so that everyone knows what is expected of them) and including information about the importance of confidentiality (since you want all members to feel comfortable about sharing their story). WHAT SHOULD MY AGREEMENT INCLUDE? As you remember, I said that your agreement should be a “meeting of the minds,” meaning that it’s fair for all members. You wouldn’t want something that treats people differently or is more beneficial to certain people. That seems pretty obvious but it’s a good reminder. As the mastermind creator, showing that you’ve created a thorough and equitable agreement will make EVERYONE feel better about being a member. General obligations of the members, such as if you have rules for attendance, scheduling, behavior, etc. The main thing to remember while writing or planning your mastermind agreement is to create something that will make everyone feel comfortable, confident and protected in the group. Once everyone agrees to and signs the agreement, you’ll all probably forget about it. But if a issue arises, you can easily look back at the agreement and say “hey remember what we all agreed to about this issue?” The agreement is everyone’s formal acknowledgment of the “rules” of the mastermind and her assent to following the rules. Hope this was helpful and makes the legal side of creating a mastermind a little less scary. 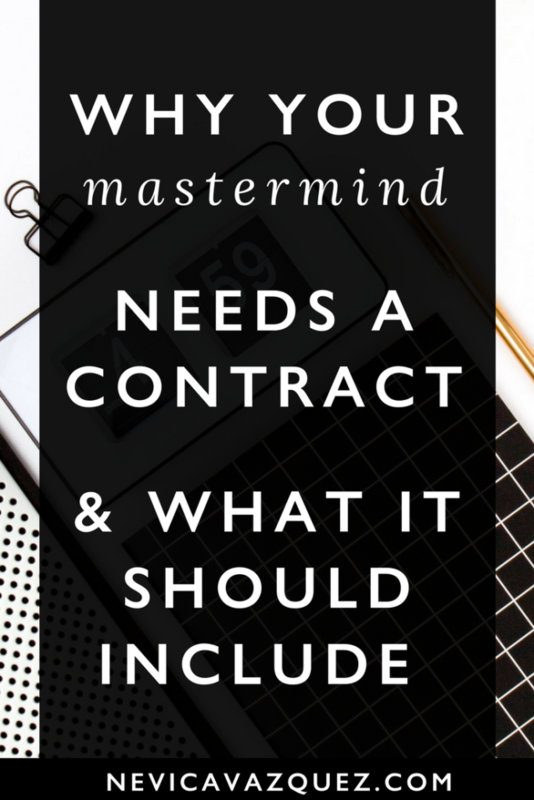 If you aren’t wanting to create your own agreement, I offer legal templates in my Legal Marketplace, including a customizable mastermind non-disclosure agreement. If you are wondering generally about the legal side of running your business, check out my free course Legal Biz Foundations. Additionally, I have tons of other legal tips, education and resources available on my website – Jade and Oak! built up her business, all while working full time, and enjoys sharing her legal knowledge online. ballet classes, reading and traveling.